Finally! Comfortable and safe use of higher pulse energy to get even the most stubborn hair follicles. Schedule your appointment today! 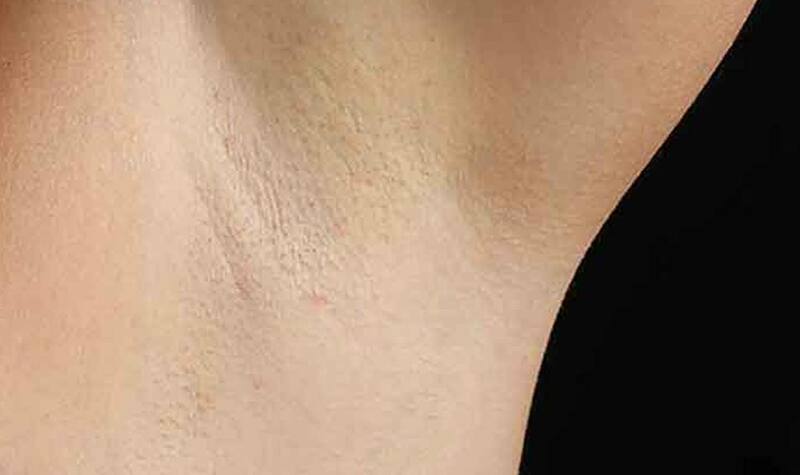 If you struggle with removing unwanted hair, you’re not alone. Many find it difficult to keep up with the time-consuming, ineffective hair removal routines that they’ve performed their whole lives. Hair removal doesn’t need to be so challenging. Say goodbye to your razor and hello to our laser. Regardless of which area you are concerned about, laser hair removal can help. In a matter of minutes, hair follicles are destroyed with minimal discomfort. Using highly concentrated energy, hair follicles are targeted and pulses of light are emitted. The energy is focused on the darker pigmentation of hair. For this reason, laser hair removal work best on those with darker hair and a fair complexion. However, people without this combination can still get great results. We operate a state of the art Cutera Prowave Intense Pulse Light (IPL) system and the Cutera Nd:Yag 1064 nm laser. Along with the Zimmer cooling technology, the Cutera Prowave and the Cutera Nd:Yage 1064 laser maintain skin surface temperature precisely with an integrated high capacity cooling system at any treatment speed allowing comfortable and safe use of higher pulse energy to get even the most stubborn hair follicles. With greater speed, comfort and efficacy our patients feel less discomfort and are able to easily tolerate multiple treatment areas with little to no discomfort. Before & After of laser hair removal. How Does the Laser IPL Therapy Remove Hair? The Cutera Prowave unit emits a beam of light that passes through the skin, to the hair follicle. The energy is absorbed by the pigment in the hair follicle, and then transformed into heat to destroy the follicle. The FDA has approved the Cutera Prowave for safe and simple hair reduction. Once a hair follicle has been destroyed, patients can expect very little regrowth. Patients should know that ONLY electrolysis is approved by the FDA for permanent hair removal; all IPL and Laser systems are approved for 90% of hair removal and future regrowth may occur in small amounts. The ideal candidate has dark hair and light skin. Dark hairs absorb more of the laser light and lighter skin allows more transmission of the laser light into the follicle. We do safely treat darker skin tones and tanned skin; however, the treatments are most effective when you are your natural skin tone. Non-pigmented hair does not respond to the laser treatments, and electrolysis would be the best permanent alternative. Patients with darker skin types undergo treatment with the Cutera Nd:Yag 1064 laser. Our very competitive treatment prices depend on the body part being treated. We find that the vast majority of our patients prefer to pay for each treatment rather than the purchase of an entire multi-treatment package. If more than one area is being treated we will combine them into an affordable price. Hair grows in cycles.The Cutera Prowave and the Cutera Nd:Yag 1064 laser only eliminate the hair follicle that is in the active stage of growth at the time of treatment. The hairs that return are those that were not in the active stage of growth at the time of treatment. They can appear lighter in color and finer in texture. You will see some results after just one treatment. Because the Cutera Prowave and the Cutera Nd:Yag 1064 laser can only eliminate the hair follicle in the active growth cycle, and not all hairs are in this part of the cycle at any one time, most clients require 6-8 treatments to achieve permanent reduction of hair depending on the person and the body part. Fewer treatments are needed if your goal is to reduce the number of hairs as well as the coarseness of the remaining hair. The treatment of a women’s face will usually require 6-8 visits. Because the hair grows in cycles, treatments must be spaced apart with enough time for the growing hair cycle to occur. Treatments should typically be spaced at 3-4 week intervals between treatments. Most clients describe the treatment feeling like the light snapping of a rubber band on the skin, which is a brief sensation. Some areas of the body are more sensitive than others. Most clients tolerate the treatment well. Since the laser treats many hair follicles at a time, facial areas can be treated in just a few minutes. Treatment of the bikini area and underarms can take 15 minutes, larger body areas like legs and back can usually take 30 minutes or more. All clients considering laser hair removal should avoid sun exposure, especially tanning beds for at least 2 weeks prior to your treatments. The hair on the area to be treated should be shaved within 24 hours prior to treatment to be most effective. For optimum results, avoid tweezing or waxing the hairs for a minimum of two weeks prior to the treatment. The use of sunless tanning cream (“fake tan”) should be ceased 5 days prior to your treatment. Use of Antibiotics should have been discontinued at least one week prior to treatment. Pregnant women should consult with their OB/GYN before proceeding with laser hair removal services.